A place for a never-wanting-to-end experience. 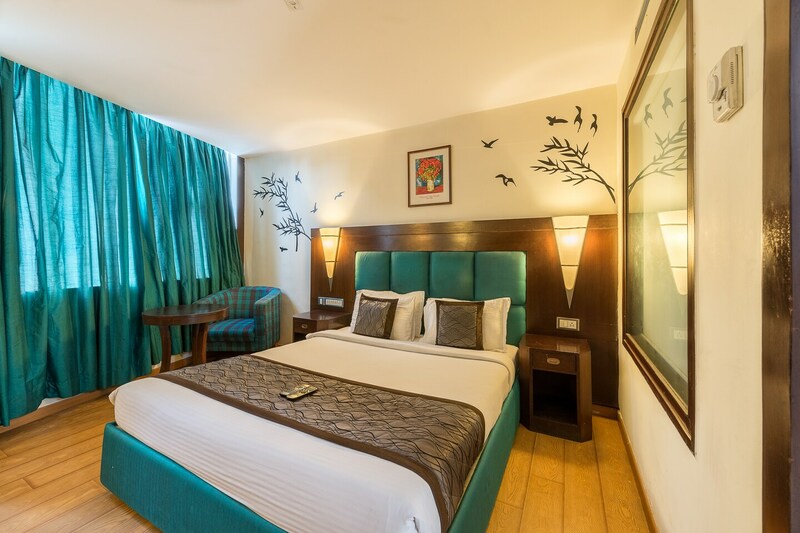 Located on Brigade Road, one of the biggest shopping spots in Bangalore, Hotel Brigade Royal is a posh and elegant place to stay at. The rooms at this hotel also exude elegance and sumptuousness with its fanciful decor. The theme of the room consists of three dominant colors, namely white, dark brown and blue. All four walls of the room are different with one having an image of tree branches and flying brides, another with a glassed window type structure covering majority of the wall, one with windows from one end to the other and lastly a wall that is completely made of wood. The furniture in the room includes a cupboard, a dressing table, a coffee table and a chair along with the basic one. The hotel also provides amenities such as free Wi-Fi and a card payment option.